Let’s face it, uncertainty or the unknown can often times be scary and make us anxious. When something is uncertain or unknown, we tend to ask ourselves questions such as: “What could or will happen?” “What if the result is bad or I don’t like it?” “How will I deal with the situation if it turns out bad?” “What if I am not able to handle the outcome?” We think these questions help us to better prepare for the future by considering possibilities and thinking we can plan for them, but in reality, they are only causing more harm than good. When we sit and try to think or consider all of the possible outcomes or consequences, they are more often than not negative or catastrophic. We tend to default to worst case scenario outcomes, which in turn only makes us more afraid or anxious, possibly causing us to not even pursue the situation we are considering. The questions we should really be asking ourselves are: “What is in my control?” and “What can I do about it?” If we want to be able to influence the future or decrease the amount of uncertainty or anxiety we have about a situation, we first need to figure out what actually is in our control and then what we can do about it. In every situation, the only aspects we truly have control over are what we think, say, do, or react to, so even when it seems there is nothing in our control, we are always able to control what we are thinking about, how much influence or impact it has on us, and change our thought processes if wanted or needed. Let’s consider an example of a future event to help explain the process. Say you are interviewing for a job in a few days that you desperately want. You are extremely nervous about the interview, concerned about what the interviewer might ask, and afraid you might not get the job. Your brain is constantly thinking: “What if I don’t know an answer to a question or say something stupid?” “What if they don’t like me?” “What if I never find a job again?” Yes, all of those are technically possible outcomes, but do you know for certain that any of them are one hundred percent going to happen? No! You cannot control what the interviewer is going to ask, whether they like you or not, or if you get the job. But what you can control is how prepared you are and what information you know ahead of time by having all of your information together and researching the company and job. Or on the other hand, let’s look at an example of a general worry or anxiety about the future. Say you are constantly anxious that you will always be single. You think all the negative thoughts about how horrible your life will be because you are single, how you will never find anyone, and how you will always be alone. There may not be an event you can prepare for or have control of, but you can control your thoughts. Ask yourself: “Do I know with one hundred percent certainty that my life would be better if I were married?” “Do I know for sure I will never find someone or that I will be alone forever?” Again, no. Most of the questions or worries we have we do not know with one hundred percent certainty that they will happen or even that they will be good for us. If we don’t know that they will absolutely happen, then there is the possibility that what we want or the opposite will happen. We also don’t know with one hundred percent certainty that what we think we want will actually make us happy or be good for us. You can’t control the future, so don’t let it make you anxious or stress and take away from the current moment, just learn to control your thoughts about it. In the end, what we think about when it comes to uncertain situations or the future will determine how much anxiety, stress, or worry we have about it. If we can control our thoughts about it, we can, in a sense, control and improve the situation. 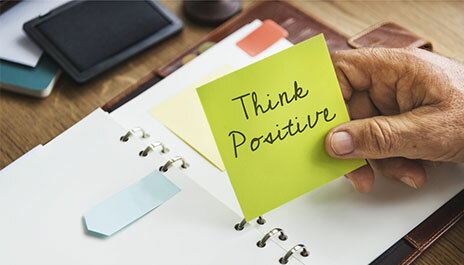 If you are feeling anxious about the unknown or future or find yourself thinking a lot about the “what if’s” in life, contact Symmetry Counseling today to set up an appointment with a therapist who can help you to gain more control over your thoughts and create more positive thought processes to help you deal with uncertainty.